I guess coming from an education background in supporting teachers I value and encourage us all to reflect on what we do and how effectively we do it. This helps us to grow and develop. The purpose is not to beat ourselves up over our shortcomings but to recognise, own and evaluate what we do. Not one of us has all the gifts we need to do all that we can as the body of Christ in this place. That is good. We all have our place. We need to acknowledge the different gifts we all have and to give thanks for them. I think praying is one of the least recognised but most valuable things we can offer. In prayer we find inner strength and peace for ourselves and gain wisdom in how to help and support others. Over the next month we will be working on our Parish review. The diocese works with the parishes on a cycle to review the clergy and the parish or ministry unit as a whole. Each parish is reviewed about every five years. Reviewing and reflecting on our individual lives and on our relationship with ourselves and with others is so important as we seek to follow, as closely as we are able, in Christ’s footsteps. It is important to look at our part in the bigger picture of God’s family, and the work we are called to do and be in this place at this time. Do we value each individual — and how do we express this? We are all different. We all think, respond and interact differently. We all like and dislike different things. This is what helps to add colour to who we are in this place. No one can support everyone else or have all the skills we need as a community to be the people that God wants us to be as a community. Don’t ask me to contribute musically for a start!!! Although I have to do the best I can when it comes to rest homes. I would love more singers to help with this ministry. It means so much to the older people. What we can all do, is do the best we can and contribute in what ways we are able to our community. We can all pray that God will lead us and guide us in following our calling. We can all encourage, support and nurture each other showing respect and concern. So how can we work together better? I believe by accepting that we are all different and honouring each and every individual and by playing our part. We can see this and explore such matters in our review. It is good to set time aside to come together to discuss our likes and our challenges, to listen carefully to each other with respect and an open mind and where possible to make compromises that best fit the community that we are or want to become. To encourage each other as we together explore where we wish to go as a Parish as we continue the journey that each of us is on. I would like to encourage you to fill in a survey form and to come along and be part of our workshops on Sunday 4 November to discuss the outcomes. Please bring a plate for a shared lunch. It will be good to hear suggestions and ideas. In completing a survey form it is helpful to be quite specific so we can see if there are common issues. One example could be, “we would like more familiar/modern/older hymns”. Please bear in mind that all except one Sunday a month we have three services on a Sunday morning so please name the service you are talking about. Then we can look at this and see if it is a common response for that congregation and if so what we then do about it. I do leave the hymns and songs to our musicians to choose as music is certainly not one of my gifts but I certainly enjoy it and see it as an essential component of worship. Looking forward to our exploring our way ahead together. From the Venerable Sarah Moss — Archdeacon with responsibility for ministry reviews. What does it mean to be a healthy church? Are there some key components of our life together that are signs of health, growth and wellbeing? As the Bishop’s team, we believe there are and during the past few years significant work has gone into identifying what those things are and how we can support the Ministry Units across the diocese to reflect on their life and continue to nurture their spiritual health. The Ministry Unit Review Process, which was designed especially for the Diocese of Auckland, plays a key role in this.  To develop the process we have drawn on a range of church review resources and Healthy Church models from Aotearoa-New Zealand and overseas; from within the Anglican Church and from other denominations. Extensive research and collaboration took place between the Bishop’s Team and two invaluable resource people: Lynne Trenwith, a communications specialist (Parish of St Aidan’s) and Joyce Pereira-Laird (principal consultant from Beyond Consulting), who specialises in data analysis. Both Lynne and Joyce gave their considerable time and expertise to the diocese as a gift, for which we are extremely grateful. Our Healthy Church Model identifies four dimensions of church life: Knowing God; Shaping Community; Walking with Christ and Living Beyond Ourselves. Today in our workshops we will be doing two main things: exploring the data gathered through the parish survey and using this, along with some ‘big picture’ thinking and visioning, to identify areas for focus for future planning. The more specific details of the planning will take place after the workshops as the church leadership continues this work. I look forward to working with you all today. Within the survey please comment which group you believe you are part of. Come along with your suggestions and ways to assist in helping these to happen. Please bring a plate of food for a shared lunch. Family & Community Service followed by morning tea. Bring along your friends, family, and pets. If it is really fine and warm we will have the service on the vicarage lawn otherwise it will be in Reid Anderson Hall. If you would be willing to volunteer for your name to go on the roster for cleaning the church, please let Noeline in the office know. Thank you. The next lunch will be on Sunday September 30. Ladies in Black is an alluring and tender-hearted comedy drama about the lives of a group of Sydney department store employees, adapted by Oscar-nominated director Bruce Beresford (Driving Miss Daisy, Mao’s Last Dancer) from Madeleine St John’s best-selling coming-of-age novel. Set in the summer of 1959, bookish school leaver Lisa takes a summer job at prestigious F.G. Goode’s. There she meets the “ladies in black”, who will change her life forever. Beguiled and influenced by Magda, the vivacious fashion manager, and befriended by sales ladies Patty and Fay, Lisa is awakened to a world of possibilities. As she grows from a shy schoolgirl to a positive young woman, she becomes a catalyst for a change in everyone’s lives. Put it in your diary now and please don’t be tempted to go to the show as soon as it is released — instead come with the fantastic family and friends of the Pukekohe Anglican Parish. Pukekohe Cinemas, 5pm Sunday October 14. Tickets $20 (Available from the parish office). Please take tickets to sell to your friends. Bring Cash for Raffles!!! Meet at the church for communion. All Welcome. An opportunity to remember those who we have loved and are no longer physically with us. The church will be open throughout the day for prayer and the lighting of candles in memory of a loved one. Handel Consort & Quire’s concert at St Andrew’s on Sunday October 28 is off because they have been unable to secure their soloists. Sunday, December 2. Venue to be confirmed. At St Andrew’s with the Franklin Community Choir. Date to be confirmed. Remember: ‘Spring Forward’ on Sunday September 30. So move your clocks forward 1 hour from 2am. Don’t want to be late to church! * Jams * Pickles * Books * Household and White Elephant items * New items for the Tombola * Grocery items for the Raffles. Get involved in All the Fun! Homo sapiens have lived on Earth for around 10,000 generations, yet since the industrial revolution (1760-1830), only 10 to 12 generations ago, we have been the cause of much lasting damage to the Earth. We have degraded the world’s soils to the point that all of it could be gone within three generations. We have watched species loss occurring at an ever-accelerating rate — from 100 times the natural rate, to between 1000 and 10,000 times in my lifetime. We have sat on our hands for two generations, and done nothing to mitigate the drivers of global warming that is now changing our climate. For more than 40 years we have known that avoiding disastrous climate change requires breaking the hold of fossil fuels on our economy and our way of life. And we have done so little. Cherishing our Earth has become something we no give no attention to. This topic came up at the Auckland Diocese annual synod in September. Amongst the presentations was one by journalist Rod Oram, a member of the Anglicans Climate Action Network that I work with. “I used to think the top environmental problems were biodiversity loss, ecosystem collapse and climate change. How relevant is the quote and how right is the sentiment?